After having a laser treatment for skin resurfacing you should take care of your skin and first of all you should make sure that your skin stays moist until it is fully healed. This is the first general rule, keep the skin always moist. If you do that the skin can heal two times faster than letting it dry out. You can use Vaseline Pure Petroleum Jelly or more complicated moisturizing creams like Aquaphor in order to achieve that. 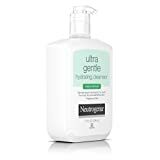 When a week has passed after the treatment you should start using topical agents that could continue to support the therapy and can improve the laser treatment’s results. It is also very important to avoid exposure to the sun while your skin is healing. The skin’s natural protection decreases after a laser skin resurfacing treatment and it could be damaged from sun’s ultraviolet light. This could lead to problems like hyper-pigmentation. 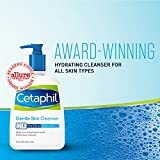 Our proposal is to clean your skin twice per day using a gentle cleanser like Cetaphil Daily Advance Lotion and apply some Aquaphor Healing Ointment several times per day in order to moisturize the skin. 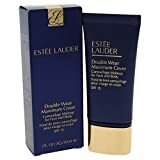 Three days after, you could switch from Aquaphor to Cetaphil lotion and after a week you can put on your regular makeup and start using some sunscreen. 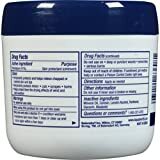 If you decide to use Vaseline instead of Aquaphor for moisturizing a recommended Vaseline type ointment is Elta Creme . It can be applied immediately after the laser skin resurfacing treatment and reapplied till you have your first shower after the treatment. 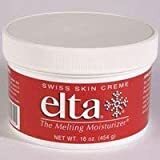 After each shower it is good to reapply the Elta cream and keep doing this until the peeling and crusting is gone. Following a deep laser treatment this could usually last up to 10 days. When your skin feels better and is not peeling it is time to use some cover-up makeup in order to hide some redness. Finally, keep using mild moisturizers up until all the redness has faded from the skin. Following a laser skin resurfacing treatment this could take from several weeks to several months. Previous Is Home Laser Hair Removal Safe?